We manufacture hydraulic hose assemblies to your requirements and, as part of our quality system, offer full traceability from low to high pressure, including our extensive range of adaptors, tube, compression fittings, gauges, quick release couplings, valves etc from manufacturers that include Parker Hannifin, Racor, MP Filtri etc. 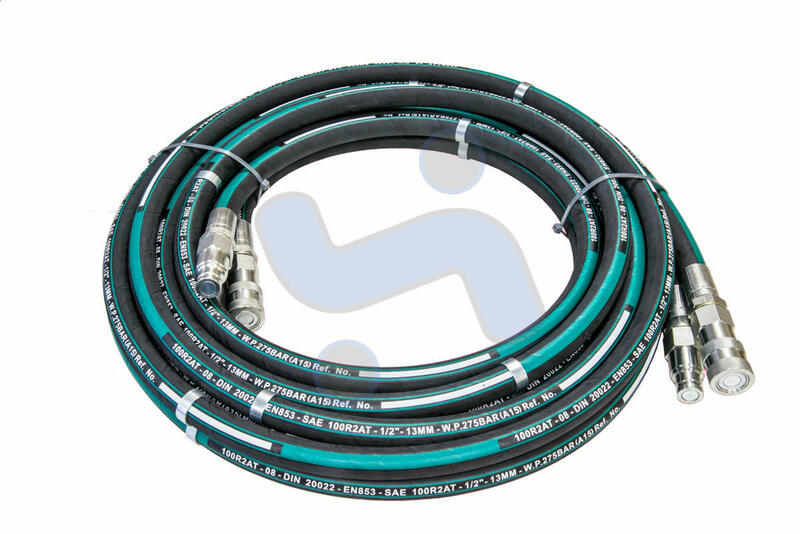 Our hydraulic hose assemblies are manufactured in accordance with our quality policy and can be made with most end terminations and any quantity, we also provide an on the spot over the counter service for hose assemblies required immediately. Pressure testing facilities using either water or oil are also available.